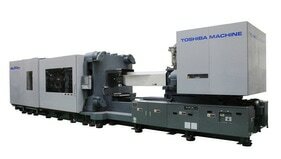 ​ In 2010, Toshiba Machine revolutionized injection molding with the ECSX series of all-electrics. The powerhouse of injection molding, it not only gave molders faster dry cycle times, longer mold life and more uniform clamping force, but more shot sizes from a single machine and the most advanced controller on the market. Now we’ve taken the next step. Introducing the all-new ECSXII – all-electrics with the same versatility and performance, along with a streamlined frame design, significantly faster injection speeds and new features making your investment work harder and smarter. Extremely flexible and versatile, the new ECSXII is ideal for virtually all molding applications, from automotive and aerospace, to packaging, medical and more. 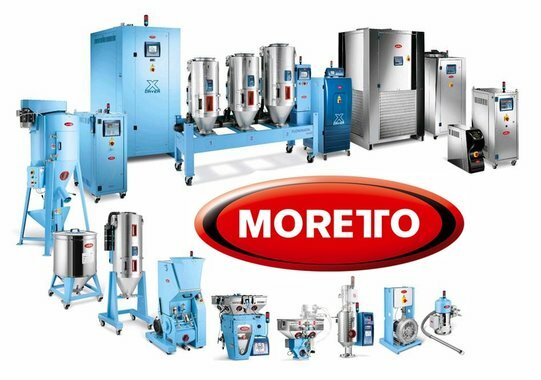 Moretto S.p.A. researches, develops, and manufactures automation systems for the plastics processing industry. Our systems stand out for their low energy consumption and highly original solutions. People, passion, and constant research generate ideas that are placed in the hands of experienced specialists and become repositories of excellence and innovation. Because our products keep their promises. Because we are leaders in energy efficiency. Because our products always have the edge over others. Because our projects foster innovation. Because we offer highly customizable solutions. Because we supply open systems, with the potential for expansion. Because we guarantee a careful installation and flawless performance.